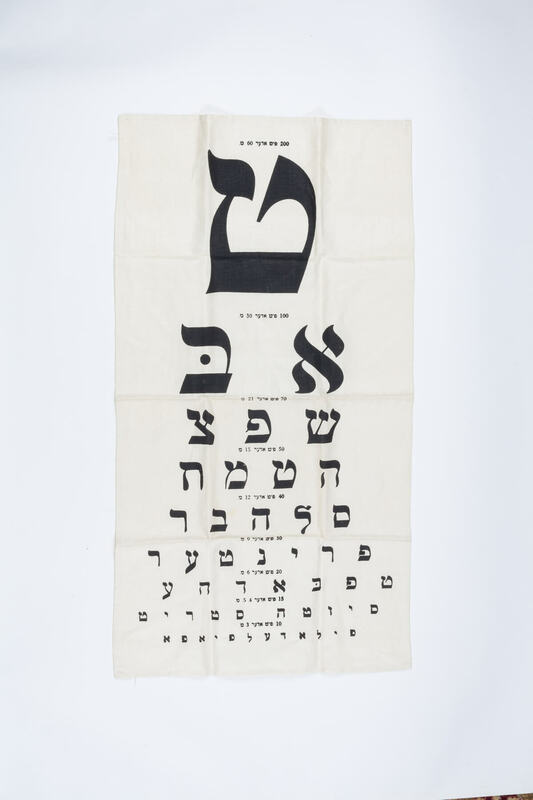 A VINTAGE YIDDISH EYE CHART. Probably New York, c. 1920. On linen. With Yiddish letters and eyesight range values. 18” x 34.5”.